Ogden on Politics: Who Should a Libertarian Leaning, Limited Government Republican Vote For? Who Should a Libertarian Leaning, Limited Government Republican Vote For? On my way back from Florida, I was able to hear the middle part of the GOP presidential debate after leaving the airport and watch the conclusion on the debate on television. What I heard left this libertarian-leaning, limited government wanting for better candidates. time I hear Rubio talk about privacy issues, I cringe. He has no problem with the Patriot Act or the NSA metadata phone collection program and says it should be expanded. He said Snowden is a traitor for exposing the program. Of course, if Snowden had not reported the existence of the program, our federal government would be still collecting data on every cell phone call made in the United States, a program which has been held to be a violation of the 4th Amendment. (People on the national security committees, like Rubio, knew about the program and did nothing to reign it in.) Rubio also chided Ted Cruz for voting against a defense bill that would allow the indefinite detention of Americans without so much as a hearing if they're accused of working with terrorists. Ugh. I have to wonder how far Rubio would go in taking away Americans' liberties in the war against terrorism. Christy - Never been a fan of New Jersey Governor Chris Christie. But I would be willing to my objections if he wasn't so bad on some key issues.. Christy like Rubio is willing to trample on Americans' privacy if he deems the cause is just. Christie also has zero respect for federalism. His comment that the federal government should aggressively enforce marijuana laws in those states where they've decided to decriminalize or legalize marijuana is about as anti-10th Amendment position as a Republican could take. His law and order act is so 1990s and does not reflect the views of many, if not most, Republicans today. Bush - Former Florida Governor Jeb Bush's comment that Apple CEO Tim Cook should be have his arm twisted to give up client's private information without first obtaining a warrant is absurd. Warrants are easy to get. If there is probable cause to believe someone is conspiring with terrorists, go to court and get a warrant. Trump - New York businessman Donald Trump has displayed in past comments he has zero respect for federalism and has no understanding of how separation of powers works. He believes he can just issue "executive orders" to not only override Congress but decisions under the Constitution that are left to state and local officials. No one criticizing President Obama for abuse of executive orders should even consider voting for Trump. Cruz - Of all the aforementioned candidates, Ted Cruz is the best on federalism and privacy issues. But even he has backed down at times when faced with concern his positions might not be popular with the GOP electorate. And Cruz, like Bush and Trump, supports aggressive interventionism and seems to want to give the military a blank check when it comes to spending. Those are also positions opposed by many Republicans. 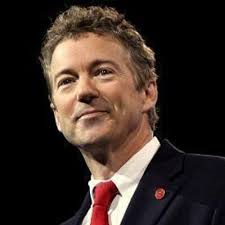 The only one who seems to "get it" when it comes to privacy and federalism, as well as the need to tread carefully in overseas military engagements, is Kentucky Senator Rand Paul who unfortunately wasn't on the stage. The Republican Party sorely missed his voice last night.